At Just Fly Business, we can search for great value business class flights to Perth and offer bespoke options to suit you. Whether you’re searching for a connecting flight, a stopover en route to Australia, or a direct flight to Perth from London, our expert team can help find you the perfect option for your holiday needs. Taking business class flights to Perth from the UK with Just Fly Business has never been easier because we enjoy making and maintaining long lasting relationships and pride ourselves in excellent customer service. Whether it’s a business trip or luxury holiday to Perth, you will receive your own personal travel consultant who will organise all your flights, airport transfers, hotels and car hire and ensure everything runs smoothly and efficiently. Your business flights to Perth will not only be comfortable but also affordable, as we work with all the major airlines and will listen to your travel needs – taking the stress out of your trip! No holiday to Perth is complete without a visit to the Kings Park Botanical Gardens. Situated on the top of Mt Eliza, this park is renowned for its spectacular views over the Swan River foreshore and city skyline. With walk trails through natural Australian bushland and a hair-raising glass treetop walk to experience the canopies, it offers a fantastic insight into the indigenous flora of this sun-drenched country. At the mouth of the Swan River lies the colonial city of Fremantle where historical buildings such as The Roundhouse meet a modern bohemian café culture. Filled with markets and open spaces, it is easily navigable by foot. Drop into the tourist centre and pick up a walking map to make the most of the city. With fantastic museums such as the Western Australian Maritime Museum, excellent eateries located along the beachfront and the main thoroughfare, South Terrace, and with art galleries and boutique shopping all around, Fremantle makes for a fantastic day out. Insider’s Tip: Located opposite the Esplanade, Little Creatures is a favourite for lunch but be warned, it can get very busy on weekends! Australia is famous for its pristine beaches, but only Western Australia can boast a sunset over the ocean. From the surfing culture of Trigg and Scarborough Beaches, to the fantastic restaurants of Cottesloe Beach, and family friendly Hillarys Marina, Perth arguably has some of the best beaches in the world. Grab some fish and chips and feel the sand between your toes! Insider’s Tip: During March, Cottesloe Beach comes alive with the Sculptures by the Sea art festival! While on your holiday to Perth, catch a ferry from Perth to Rottnest Island for an amazing day of sun, sand, and scenery. Travelling down the Swan River, you can take in the sights of this winding waterway and maybe even see some dolphins before crossing the open water to the white sandy paradise, Rottnest Island. Originally a convict settlement, the original structures in Thomson Bay have now been converted into boutique shops, cafes, and holiday accommodation. 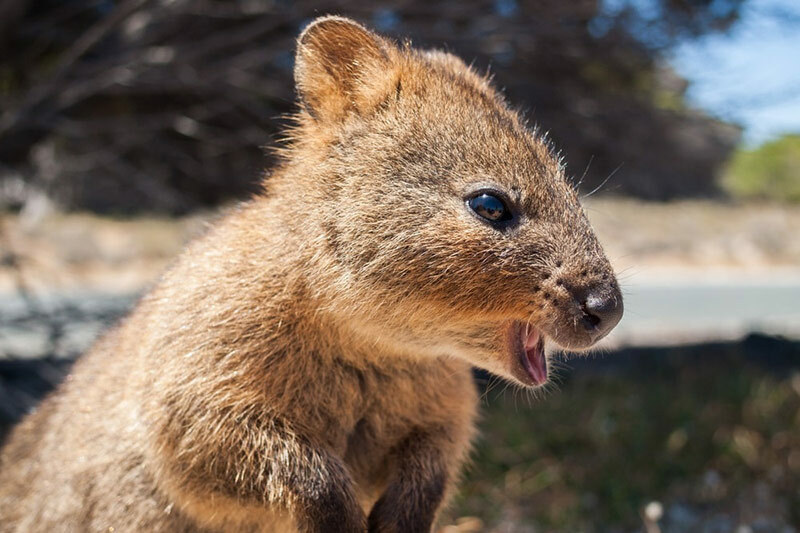 Pristine beaches and clear blue water make for a relaxing day in the sun, with the island’s most famous species, the Quokka being named the “World’s Happiest Animal”. Insider’s Tip: Only emergency vehicles are allowed on the island so the best way to get around and discover some secluded inlets is by bicycle. The newly developed Elizabeth Quay on the foreshore of the Swan River has become a hub for art, music, and food. Opened in 2016 and located between the Perth Convention Centre and the Supreme Court Gardens, it holds several permanent art installations and restaurants, as well as rotating attractions of premier festivals and food markets. The Barrack Street Jetty with its Bell Tower offers 360 degree views of the city and Swan River from its observation deck. Interestingly, it has a link to the United Kingdom by housing the bells from Saint Martin in the Fields church in Trafalgar Square, London. Operated by Captain Cook Cruises and departing from Barrack Street Jetty, this is one of the best ways to experience some of the acclaimed Australian wines from the closest wine region to the city on your luxury holiday. 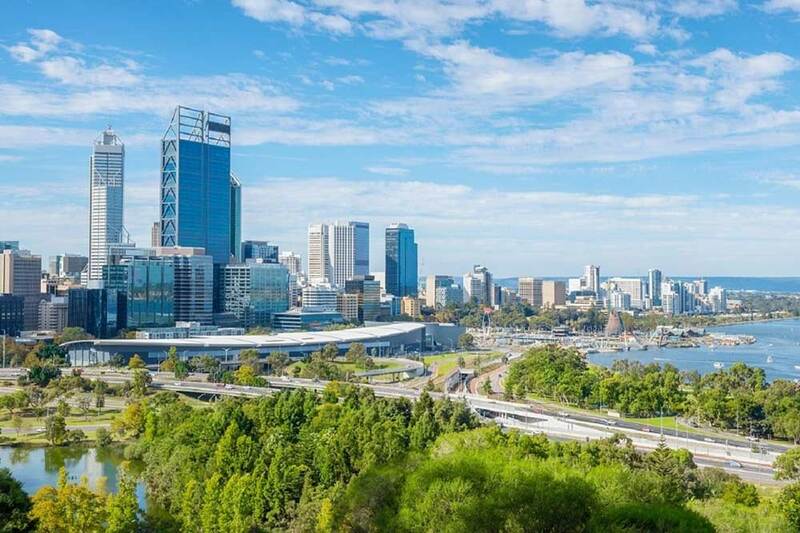 A leisurely cruise inland along the river has you passing sporting landmarks such as the WACA cricket ground and the newly built Perth Stadium, the new home of Australian Rules Football in Perth, before winding your way through to the upper regions of the Swan Valley. 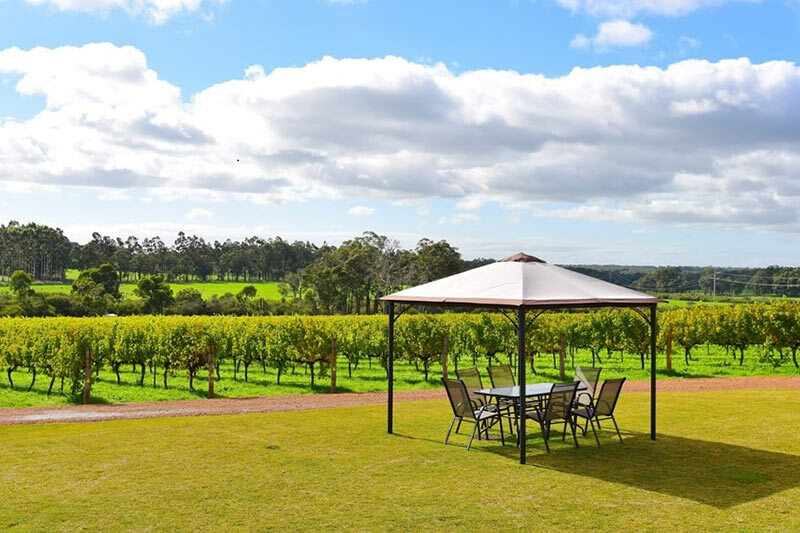 Including a two-course lunch at the famous Sandalford Estate Winery, and a behind the scenes tour with expert tasting, make this tour great value in a relaxing and idyllic setting. This purpose built venue offers meeting rooms, ballrooms, theatres, and an event space with differing capacities from small groups up to 2,500, making it perfect for all your business and entertainment needs. 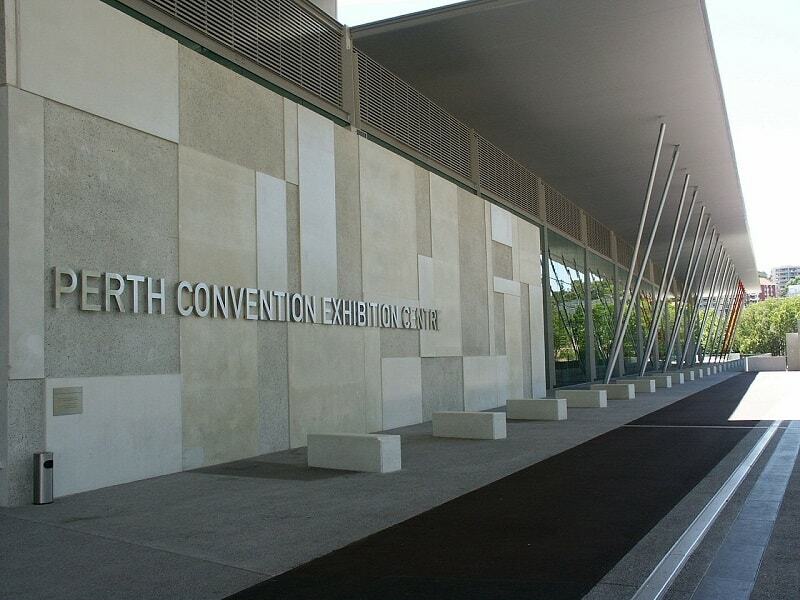 The Perth Convention and Exhibition Centre is located on the foreshore of the Swan River, it is well connected by public transport, easily walked to from many Perth hotels, and has ample parking facilities. Located to the east of the city centre, the Crown Perth Complex is home to 5 star accommodation, theatres, a casino, and 5 distinct business and conference facilities catering from small, private groups to large conferences. This venue has everything your business requires. After your flights to Perth, take a four hour drive south and pass the seaside towns of Busselton and Dunsborough to the world famous wine region of Margaret River. Known for its zesty fresh Sauvignon Blanc, robust Chardonnay, and full bodied Cabernet Sauvignon, there are a plethora of options to choose from, almost all offering cellar door tastings. While in the area, the adventurous can visit the limestone caves that are open to the public. Located along Caves Road in spectacular Karri forests, Lake Cave, Mammoth Cave, and Jewel Cave are easily navigable either by tour or self-guided audio tour. Insider’s Tip: Voyager Estate, Leeuwin Estate, and Vasse Felix Wineries are a must for any wine lover on a luxury holiday! North of Perth about two hours along the Indian Ocean Drive is where you will find The Pinnacles Desert. This fossilised forest is now surrounded by sand dunes leaving the limestone monoliths stretching up out of the ground like stony giants. Thought to have begun up to 500,000 years ago, there is debate at how old they are and it is considered that they are at least 80,000 years old. Understandably, first and business class flights to Perth are not going to be the same price as going to somewhere closer, but that’s all the more reason to invest in a quality airline’s business class offering. With a flight time ranging from 17 to well over 20 hours the importance of a lie flat bed to get a good sleep, the ability to stretch out and relax in a personal and private space, and to refresh yourself with premium amenities and lounge facilities already has flights in business class sounding more appealling. Weighing these factors up with the greater service, better dining, and additional health benefits that are particularly important on long haul flights, and getting an affordable business class flight to Perth is definitely good value. When choosing which airline to fly to Perth with in business class, a lot of factors such as stopover cities or airline memberships can be considered. More often than not, it comes down to the quality of the airline, the length of time it will take, and the price. Airlines operating through the Middle East such as Emirates, Etihad, and Qatar Airways, will all have the shortest flight times and great connection times, and are also fantastic cities to take a break for a stopover. Asian carriers such as both Cathay Pacific and Singapore Airlines have a longer flight time but offer a world class service. Business travellers looking for the quickest way to Perth may prefer the direct option with QANTAS from London Heathrow, spending 17 hours onboard but saving themselves time and the hassle of connecting. Hottest Months = December, January, February and March.